IPSO is routinely called upon to provide expert testimony and evidence to a wide range of national and international groups and bodies, ranging from United Nations General Assembly meetings to parliaments and policy working groups. It translates its scientific findings into accessible formats appropriate for different audiences and always includes policy and other recommendations that arise. Examples of this include the presentation of the State of the Ocean findings to a UN General Assembly meeting on the ocean; participation as expert witness in RFMO meetings; the provision of evidence in court cases and hearings; and the preparation of submissions and papers to government hearings and investigations. IPSO’s aim is to use the findings of the scientists and communications, policy and legal experts for impact in the external world. For example, it provides information and materials to mass and news media outlets; expert advice to the entertainment media, game developers and others; and cooperates with a number of NGO coalitions and initiatives that share its objectives and which are pursuing changes in the external world, relevant to IPSO’s recommendations. Examples include the launches of its various reports with high levels of legacy and social media support and much resulting coverage; the OceansInc project at Rio+20, a media platform relaying constant news from the conference; and the deployment of material and advice to countless documentary and other mass media creators. IPSO is a founder and member of the High Seas Alliance and contributes scientific and outreach expertise; it also works alongside other NGOs that campaign in support of the recommendations arising from its science. 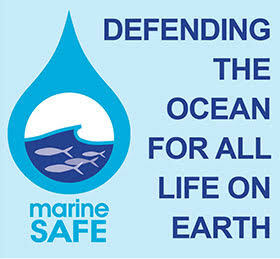 Where significant gaps exist in campaigning around specific recommendations or areas of concern indicated by the scientists, IPSO will seek to construct or encourage the creation of campaigns – one such example being the creation of the High Seas Alliance, and another its current focus on marine pollution from domestic sources. The number of experts in international ocean issues is relatively few and IPSO acts as a connector for these individuals, so that together they can consider new ideas and approaches and indicate where science can help to fill gaps in our knowledge – improving our ability to drive ocean protection. Some of these individuals represent IPSO and its interests in their daily work and provide IPSO with expert advice during its State of the Ocean workshops. Kristina is an expert on the law of marine conservation and is a senior high seas advisor for IUCN. She has more than 20 years’ experience in admiralty law and marine policy and is currently an Adjunct Professor at the Monterey Institute of International Studies. In the past she has worked for institutions such as the Marine Policy Center of the Woods Hole Oceanographic Institution and the University of Hull Law School (UK), and represented WWF at the International Maritime Organization in London. An independent advisor and advocate for ocean conservation, Matthew is also a co-founder of the Deep Sea Conservation Coalition. He is currently the Coalition’s Political and Policy Advisor as well as an advisor to IUCN and the European Union’s Hermes Project. With extensive experience of speaking globally and coordinating international campaigns on ocean conservation, Matthew has been quoted in numerous new publications such as BBC World, CNN, New York Times and Le Monde. Duncan has more than 25 years’ experience of practising and working within international and environmental law. He has also advised numerous global organisations, corporations and governments on various environmental issues and specialises in a multitude of issues including climate change, law of the sea, whaling, fisheries, bio-safety, forestry, and waste management. Duncan has been a leading advisor for the Deep Sea Conservation Coalition on bottom trawling issues since its inception. With more than 15 years’ experience working in media and communications for the NGO sector, Sophie is a communications specialist. She is co-founder of Communications INC and specialises in strategic advice, campaign management and business development. She has previously worked with NGOs such as Amnesty International as a strategic planning officer and has experience in both film and AV production. Charlotte is the Strategic Partnership Director for the Sylvia Earle Alliance and the Project Manager for Google Earth’s Oceans. She has ample experience of working with government and international businesses on coastal and marine resource policy, management, geo-referenced data, communication and conservation. Charlotte has over 30 years of experience working in both ocean conservation and communications and has been a member of several Boards and Councils across a variety of sectors, including ocean research.